A simple yet delicious lentil preparation made in mostly every Indian homes every day; boiled and mashed toor dal cooked with some tangy tomato flavor. 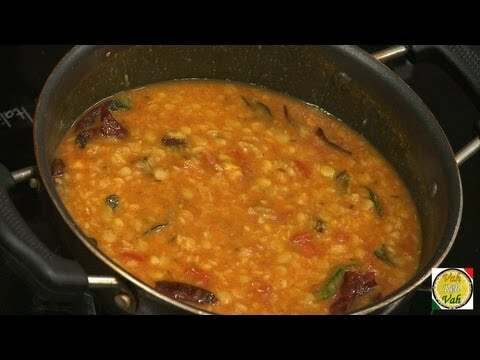 Tadka Dal is a North Indian kind of preparing lentils in which the cooked lenti… Read More..
Fennel seeds – 1 teaspoons. Cumin seeds – 1 teaspoons. Red chilies – 6 numbers. Tuver dal – 1/4 cup. Chilly powder – 1 tablespoons. Curry leaves – 10 numbers. In a pressure cooker add three dales and cook it about 2 to 3 whistles. Heat ghee in a pan add red chilly, cumin seeds, fennel seeds, curry leaves add tomatoes, chilly powder, turmeric, hing, salt and cook them well. Pour the three dales cook for some time and switched off the flame.